Ultherapy® is a breakthrough skin-tightening procedure that utilizes advanced ultrasound technology to stimulate your body’s natural collagen and elastin production. At Rejuvenate at Capital Women’s Care in Fulton, Maryland, the skilled aesthetic specialists offer procedures like Ultherapy and the Pellevé® laser system to give you a radiant glow and smoother, tighter, younger-looking skin. Fight the signs of sun damage and aging and rejuvenate your skin with the latest in cosmetic advancements: Call or book an appointment online to find out more. Ultherapy is a skin-tightening treatment that uses ultrasound technology. The ultrasound waves can combat wrinkles, fine lines, scarring, and loose, sagging skin. As you age, your skin can loosen and sag, and collagen and elastin production typically declines. Collagen and elastin are proteins primarily responsible for maintaining elasticity and tighter, younger-looking skin. Your Rejuvenate specialist can perform this non-invasive treatment in the office using an ultrasound device to view the deep connective tissue and muscles below your skin. The ultrasound energy is concentrated and targets loose skin with low-levels of focused heat. That makes your muscles contract and stimulates your body’s natural collagen production, elastin production, and cell regeneration over time. During your Ultherapy treatment, your Rejuvenate specialist applies a special gel to the treatment area and glides the device over your skin to deliver the controlled ultrasound energy. Treatment time varies and can take up to 2 hours per visit. You might experience mild swelling and redness, but this subsides quickly. Some people notice results immediately. You typically see optimal results anywhere from a few weeks to a few months after your treatment. You can see results right away, but you typically see the best results with a few treatments. Most adults are good candidates for Ultherapy and Pellevé, but the best candidates have lost some degree of skin elasticity and have clear, realistic goals and expectations about the outcomes. If you have specific medical complications or skin conditions, you might not be a suitable candidate for ultrasound or radiofrequency skin-tightening. Your Rejuvenate specialist can help you decide on the best treatments to tighten and revitalize your skin. 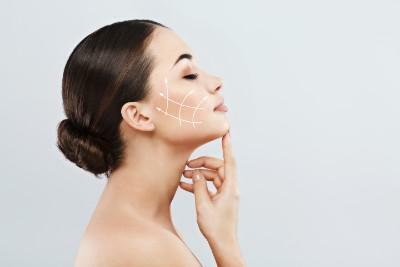 What are the benefits of skin tightening treatments like Pellevé and Ultherapy? The Rejuvenate specialists can utilize effective skin-tightening treatments to lift, firm, and smooth your face's and body's skin. If you’re interested in skin-tightening treatments, call the office or schedule an appointment online today.